It may be cheaper than a limo but the time and having to drag my suitcase from one train to another is not worth it. While more expensive the limo will save time, unless I was already downtown. Not only that Dakota, but will this be running at 3am? I have to be at Pearson by 5am in February (yay! Florida for a week). There is no logical way for me to get to my GO station, catch the LSE, then catch the UP. At least with the limo, they pick me up at my door, haul my suitcase and drop me off at whatever door I need for the terminal. If I was already downtown and catching a flight, then yes, it is something to consider. Good point Squiggles I had not considered time of travel. TomW I hope UP is on time unlike regular service where we are held up numerous times during the year. I'm with Squiggles. LSE/UPE service does not operate in time to arrive at PIA for a 6:15 flight. Limos don't get stuck in traffic at 3:30 AM. UPE is useless to me. I really think this is sheer and utter crap. All this time Torontonians have been waiting for a rail link to Pearson and now that it's here right from the get-go it's trying to milk us. 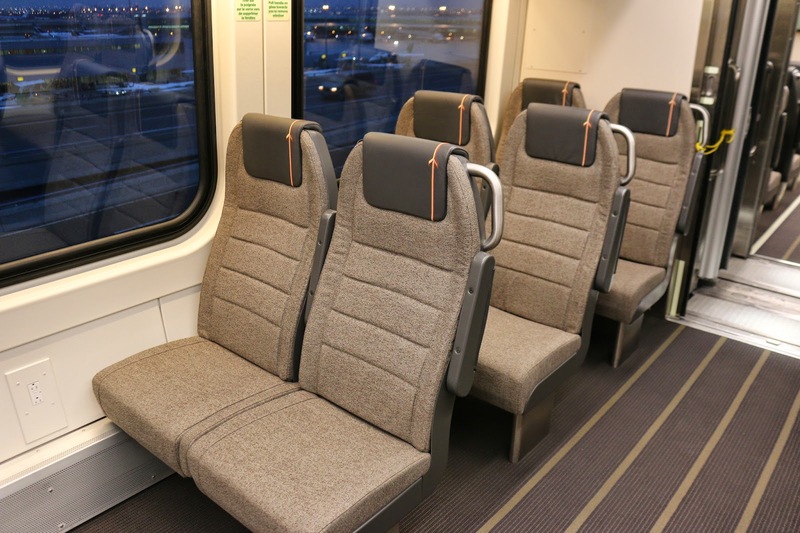 It cost around the same price to ride the Airport Express bus from the Royal York to the Airport, and now that service has been discontinued because ridership went down. As a twice weekly GO Transit rider I find it rather hilarious that it costs $10.00 to go from Union To Burlington, but it's going to cost $27.50 to go to the airport? Seriously? Even with a Presto card it's $19.00? WTF? Do you know the NYC subway system can get you to a damn airport as far as Newark New Jersey by transit? Is city planning in Toronto so lame that they can't provide adequate affordable transit to the airport? That shuttle bus from Kipling is a joke. After a horridly long subway ride, a measly bus with everyone bringing their bags and suitcases on board, no thanks. The saddest part about the UP express though is people (like me) will likely pay for the convenience of getting there in 25 minutes, that aspect of it I have to admit is quite attractive. There's no way in hell you're getting to Pearson from Downtown Toronto in 25 minutes any other way. I don't think we should get everything for free, but if they are going to involve Presto on this, why couldn't they at least adopt the distance fares with respect to the GO Transit model? Instead they chose the "Let's Hose Our Riders" right from the start model. So let me get this straight. 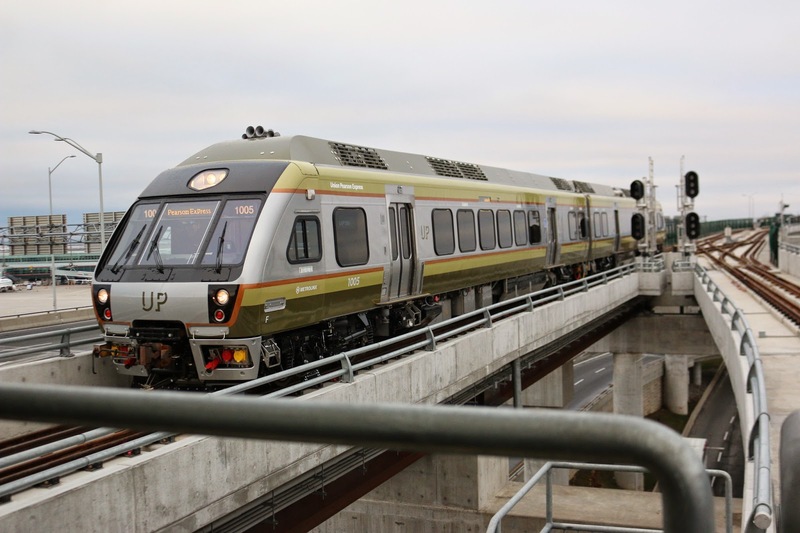 Metrolinx operates and maintains the GO Transit division which runs regional trains and buses along with all the support facilities to store and maintain trains, negotiate with the rail companies to use the rails, etc. Not to mention the experienced staff and fare collection systems already in place that could be easily expanded. Yet Metrolinx, in it's infinite "wisdom" (wisdom in quotations for obvious reasons), decides to create a seperate operating entity instead of integrating it into GO Transit and name the line "Airport Express" or something like that. Fares are higher and new model of trains had to be ordered which increases costs. All this despite the original idea of Metrolinx was to have a larger planning view of the region in terms of transportation. But instead what we get is an unnessary another large transit agency along with standard issue provincial government bloated bureaucracy. No wonder both GO Transit fares are increasing and Union-Pearson Express fares are way off. I look forward to the first real passenger counts vs budgeted expectations of number of passengers. I will love to see how Metrolinx spins this and how the provincial government continues to take in their Kool-aid and not hold these guys accountable. Hmmm. That seems a little steep. Considering I'm in Barrie, it's still better to take the airport shuttle than to hop on a bus to Union and then take this train. Maybe getting from downtown to Pearson in 25 minutes is worth $27.50. Are they going to issue a refund for delayed trains? 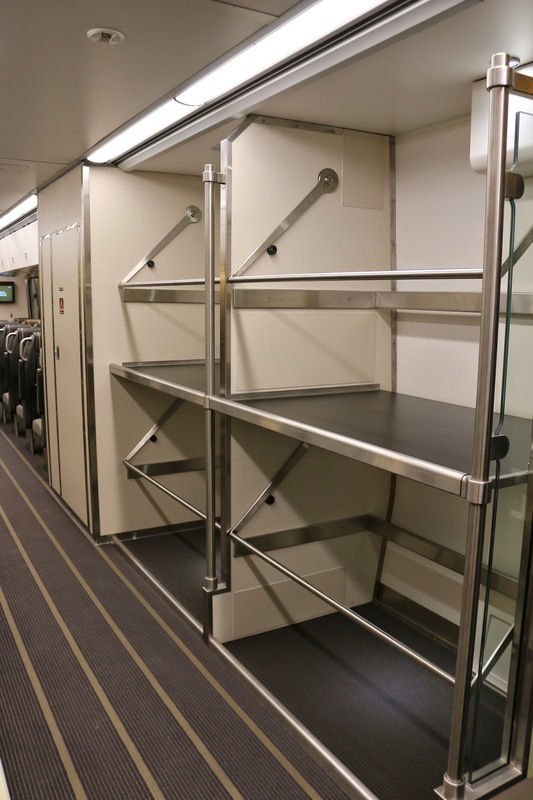 So the luggage racks are away from the seats? Hope no one leaves anything valuable on them. Michael Suddard - you've nailed it. The transit agency that is supposed to INTEGRATE our transit systems has made the decision to create a SEPARATE business. Using lines that connect to other lines... And sourcing and selecting different trains. Hmm... If this were a private market that would be fine but it's not. Great that Presto will enable you to use one payment method (and I'm assuming I could buy a ticket from Pearson to Burlington in one shot) but to create a separate service seems to go against the very mandate that was given. What would happen if the TTC worked that way? Ooh here's a nice new Scarborough subway hold up! You need to buy a special token. Madness! I went to NYC in July. It cost me $27 to get a 7-day transit pass, which was able to get me from LGA to downtown Manhattan in about 35-40 minutes including a transfer to a bus. This also got me all around the city for the week... and BACK to the airport. Amazing. How on earth is this UP justified? Wouldn't it be a fantastic way to get tourists freshly arriving in "Toronto" airport to downtown? I sure as hell wouldn't pay $30 to make that one-way trip. This is the market that will not have Presto cards and can't get that discount. It just doesn't make sense for anyone other than downtown suits who will claim a business expense and ignore the $ amount. I'm not sure there's enough of that to keep it afloat. Wait lol the commuters get a load of the excuses, signal problems, speed restrictions, oh the flights they'll miss. For nearly $30! Splurge and take a cab.